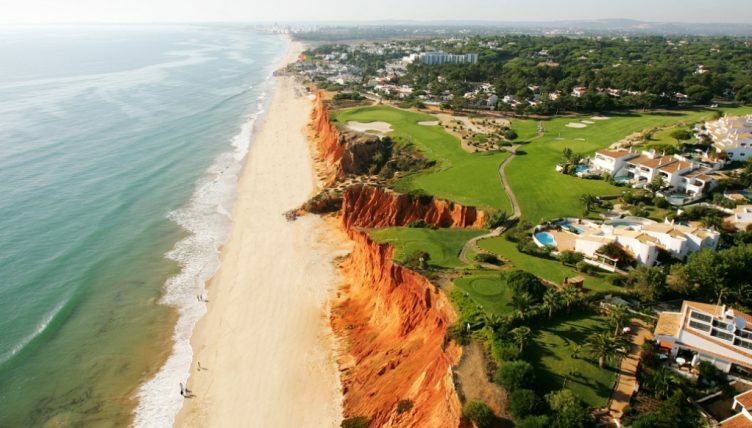 The five-star Onyria Palmares Beach & Golf Resort, in the Algarve, has been named the best golf course in Portugal, in the country’s ‘national tourism Oscars’, for an astonishing seventh successive year. Indeed, Palmares has won the award every year since it reopened following an extensive redesign by Robert Trent Jones Jnr, in 2011. The stunning 27-hole complex, in Lagos – which now boasts a five-star boutique hotel – landed the title at the much-vaunted Publituris Portugal Travel Awards 2018, in Tróia, regarded by those who work in Portugal’s tourism industry as the ‘national tourism Oscars’. It was the 15th year of the awards, which were created by the country’s leading travel trade magazine, Publituris, to reward the best in Portuguese tourism, with the winners determined in a weighted average of votes from both the public and a jury of industry figures. And Palmares – the fourth highest new entry at 66 in Golf World‘s recent ‘Top 100 Golf Resorts in Continental Europe’ ranking – was in good company, with other award winners including such household names as TAP Portugal (best airline), easyJet (best low-cost company) and Europcar (best car rental). The resort’s operations director, António Pinto Coelho, said: “To say simply ‘we’re delighted’, doesn’t really sum up our feelings at the moment. It’s a fabulous achievement under any circumstances, but to achieve it this year, when, arguably, the competition was stiffer than ever before, is remarkable and makes us incredibly proud. The Onyria Palmares Beach House Hotel has 18 rooms and two suites, each with a panoramic sea view and a balcony or terrace, and is within easy walking distance of the tees and practice area of the ever-popular golf course. The hotel also enjoys an outdoor swimming pool and a 180° bar and restaurant, with an expansive ocean vista – and all just 700m from the beach. The 27-hole Robert Trent Jones Jnr golf course – comprising three loops of nine holes: the Alvor, Lagos and Praia courses – enjoys expansive panoramic views across the Bay of Lagos, with each lay-out offering a different kind of golfing challenge in a glorious and natural environment. It was ranked 26 in Golf World‘s benchmark ‘Top 100 Golf Courses in Continental Europe 2017/18.